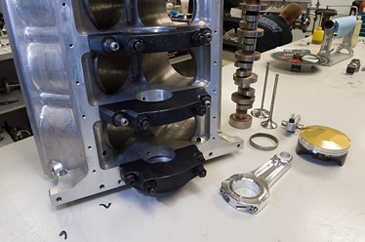 It all starts with the careful inspection of all the selected components that make up every Holbrook Racing Engine, even the new parts are carefully inspected, measured and approved for each and every engine. 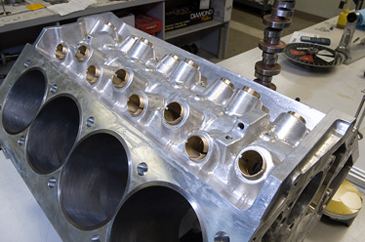 All modifications, porting, machining blueprinting and finishing to all critical surfaces are completed. Next, the parts receive a hi temperature detergent bath and hi pressure rinse. Then on to pre-assembly and more inspections. During the final assembly process, another inspection is performed. 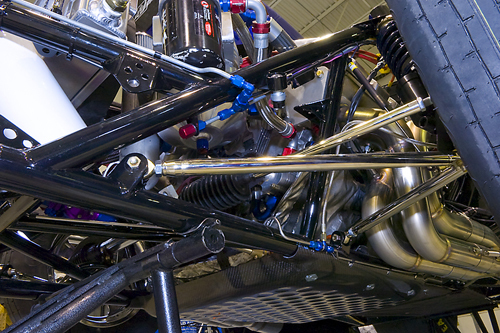 The heart of every performance vehicle is the engine. The quality and care in the preparation of that engine is the difference between a smile or a wince when you get on the track. 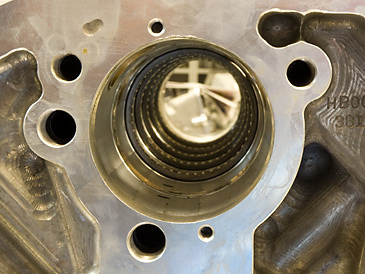 Our engine shop is dedicated to achieving that “smile” when you tell us and all your friends you have won another race! 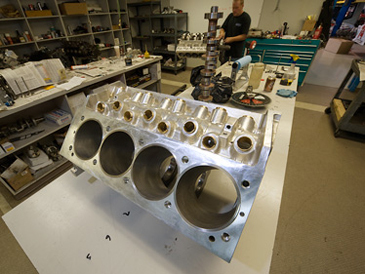 Our fully equipped engine machine shop can literally take your worn-out engine and return it to as-new specs. If you are interested in performance upgrades, no problem. 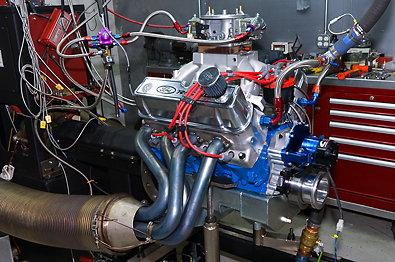 Our engine techs have an amazing track record in all aspects of performance enhancements, even record-breaking power. 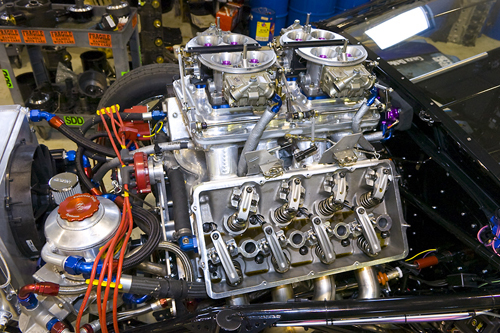 Years of building racing engines has provided us with expert knowledge and the experience necessary to successfully assist you with your next win! The cost for Zyglow inspection for your aluminum parts is quoted on a individual basis.